Social media has quickly become an integral part of everyday personal and professional communications. As more and more online platforms continuously come out of the woodwork, it’s important for small and large enterprises to stay ten steps ahead of the game and adjust their online expertise accordingly. This means hiring tech-savvy social media optimization experts who are fully capable of using valuable online customer engagement tactics to help establish and maintain strong customer loyalty. There are several helpful methods of successfully keeping your customers engaged. A key part of good marketing is acquiring an in-depth understanding of what your customers like and enjoy reading about and using this information to your business’s advantage. Implementing strong SMO practices online by actively interacting with individual people can help you successfully achieve this objective. Another key approach to successful online marketing is to have a strong and memorable social media handle that’s uniform across all online platforms including Twitter, Facebook, Instagram, Snapchat, LinkedIn, and so on. This will make it easier for your customers to find and contact you. It also eliminates confusion as to what your company does and what your key brand messaging is. In addition, you should also proactively keep all of your accounts as up-to-date as possible so that all of your information remains consistent and relevant. There are a few different online alerts you can set up such as Topsy, Google Alerts, and Hootsuite that notify you every time someone mentions your company online. Pay attention to the specific phrasing and key terms people use when tweeting or posting about your brand and make sure to emulate that in your own company posts and advertising. This shows your customers that you listen to them and care about what they think while also demonstrating that you’re listening to their needs. Show your customers that you take the time to listen to their feedback and that their opinions matter by putting their ideas into practice and providing them with the types of products and services they expect to receive from your company. You should also engage in real-time with your online customers by setting up active chats on your web site and various social media platforms. This is a much more convenient way of engaging with your customers as it allows them to immediately speak with a customer service representative if they have any questions or concerns, rather than having to call an 800 number or send an e-mail. 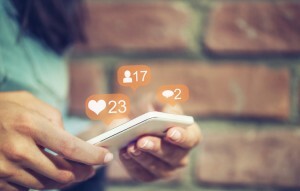 While you should make sure that all of the information on your different social media platforms is accurate and essentially the same so that you avoid contradicting yourself, it’s also advisable to present your content in unique ways that comply with the standards of each platform. For instance, Facebook has different stipulations and expectations than Twitter or Instagram and it’s important that you fully grasp the nuances of each site in order to use them to your advantage. 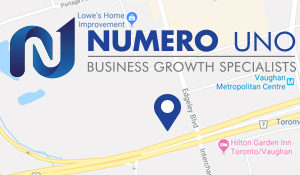 Numero Uno Web Solutions specializes in creating, optimizing, and managing content for businesses that need to improve their online presence. We’ve helped companies across Canada and the United States to establish strong online customer bases that have transformed into meaningful leads. If your business needs help when it comes to implementing strong SMO practices, please feel free to contact us.